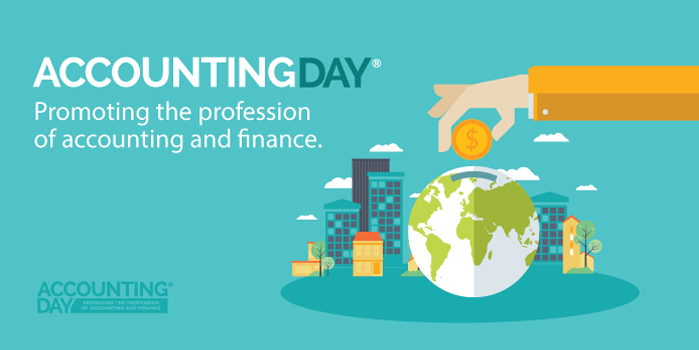 Accounting Day® – Promoting the Profession of Accounting & Finance. Grow, connect, be in the know. Accounting and Auditing (A&A) topics. For CPAs, it mirrors the A & A track for their licensing requirements. A section noted as Track A is designed to meet this requirement. Track A sessions are not limited to CPAs. All accountants may gain knowledge by attending. Professional development topics (non-technical). Meets the CPE requirements for many companies, professional organizations, and licensing requirements, Please check with your CPE requirements to see if it qualifies. Technology topics. Our goal is to present new and refreshing technology and how it helps you with your work and personal lives. CFO topics and other higher level accounting and finance professionals. While the topics are deigned for a higher level any Accounting Day attendee can attend. Fraud topics are designed to be of interest to internal auditors, CPAs, certified fraud examiners and those in companies who desired the additional knowledge. The material for the four hour session is designed to meet the Fraud CPE requirements for California CPAs. Bringing top quality continuing education to accounting and finance professionals across a variety of industries. When and what is Accounting Day®? The first Accounting Day® in San Diego was believed to be held in 1972. This would have been organized by the San Diego Chapter of the California Society of CPA’s to interest young people in pursuing an accounting career. These early events were called “Accounting Career Days.” In 1976, other professional accounting and finance organizations were invited to participate and the event became known as “Accounting Day®”. The date of the main Accounting Day® Live in San Diego is held on a Monday in May, so the date changes. This date has been used by some as the national or international Accounting Day date. International Accounting Day is most commonly recognized on November 10th each year. In the US, there is no official “National Accounting Day”, but many recognize “National Accounting Day” in May. Most of these are based on the different dates of past Accounting Day® Live events in San Diego. The most common of these is May 16th, which was started by our 2007 Accounting Day® Live event. If you would like to recognize your Accountant for all the time and money they save you then we suggest you celebrate them on May 16th and November 10th. Accounting Day® is here to help you with growing your career and business. See more Accounting Day history.